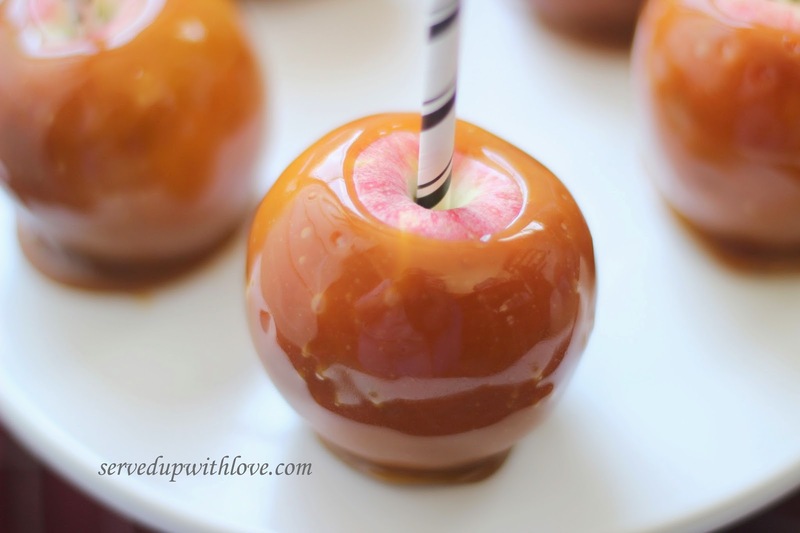 So I decided to make caramel apples on Saturday for my photo shoot on Sunday. In my photo shoot I was going for a apple cider stand concept for props. The family I was photographing was huge, 12 people all together. I decided that it was best to not add too many props since it was such a huge group and it was a little warm too. 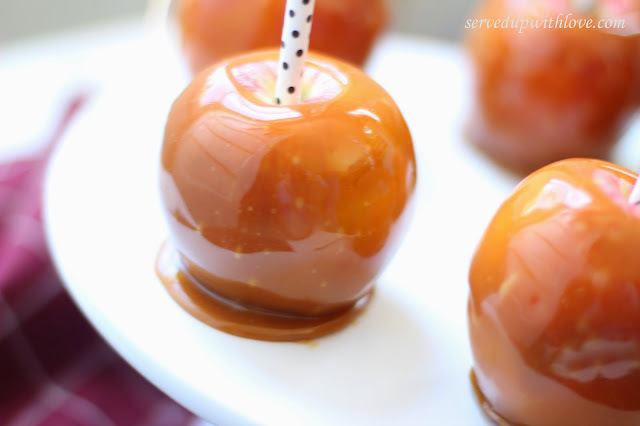 So now I have caramel apples hanging out in my fridge calling my name. I mean really calling my name all day long. Our family is trying to cut out sugar AND eat a lower carb diet. This is torture I tell you. I have never made caramel apples before and opted for an easy option. I could have done the whole making my own caramel and stuff but I wanted it to be quick. We were heading out to do a little shopping so I didn't want to spend my too much time on it. I seriously wanted to just eat the caramel all by itself. I may or may not have done so a time or two. No, I didn't burn my tongue, well maybe just a little. It was totally worth it though. The only thing different I would have done was use a more sturdy stick. These are pop sticks but more like a thick straw. When eating the apples they didn't hold up as well. 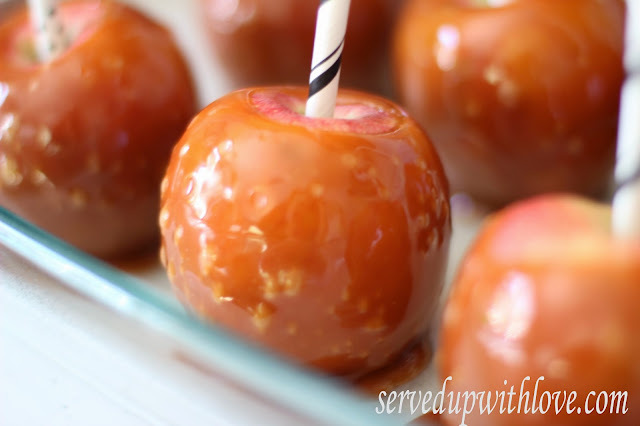 Those lovely apples look soooo inviting! Thanks so much for sharing with us at Weekend Potluck. Appreciate the link back too. Enjoy the rest of your week. They look so delicious. What kind of apples did you use? 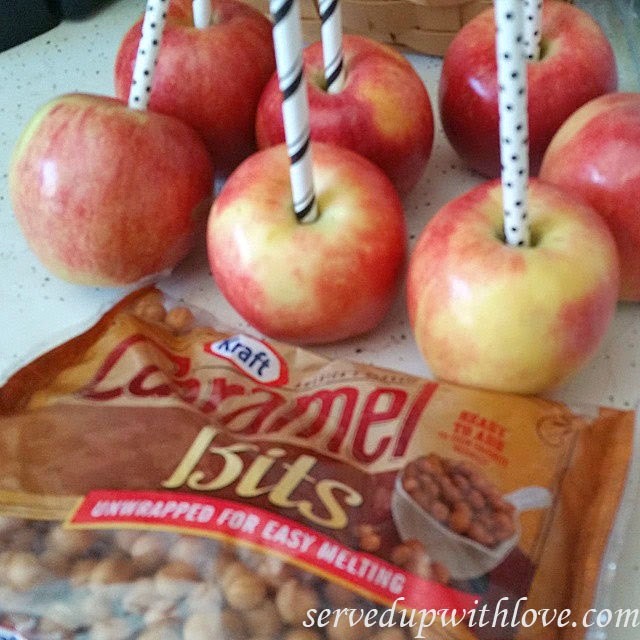 I used honey crisp but any apple would do. Thanks for stopping by. 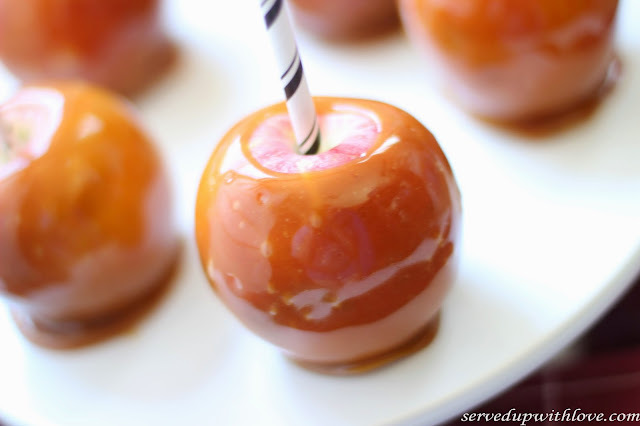 Honey crisp are one of my favs too!